If you are age 12 or older you need to purchase a fishing license online or from a fishing license agent. An Oregon shellfish license, a combined angling tag or a hatchery harvest tag may also be needed. Oregon&apos;s local fishing guides can help you determine which licenses, permits and tags will be best for your excursion. Please review the Oregon Sports Fishing Regulations for current information on bag limits, restrictions and consumption advisories. An Oregon Disabilities Hunting and Fishing Permit allows for angling from an anchored craft where such practice is prohibited, use of electric powered reels, special site access and/or accommodations for assistance. Every June, the Oregon Department of Fish and Wildlife hosts a Free Fishing Weekend. This is a chance to fish without a license at designated locations throughout the state. 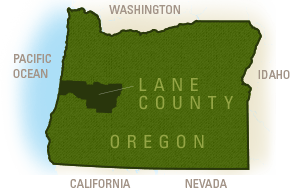 In the Eugene, Cascades & Coast region this typically includes Alton Baker Canal (Eugene), Cleawox Lake (Florence) and the Willamette Fish Hatchery (Oakridge). This event is designed as an introduction to fishing. All regulations still apply.